Home>All sellers>In a Pickle Food Co.
Steph's first jars of apple chutney were inspired by the glut of fruit from her neighbour's apple tree - and from there was born the idea of creating a delicious range of chutneys and pickles using as many fresh, fabulous UK ingredients as possible, combined with delicious herbs and spices from all over the world. 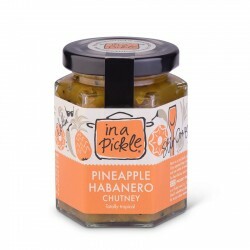 Delectable handmade, small batch preserves with no nasties - yum! 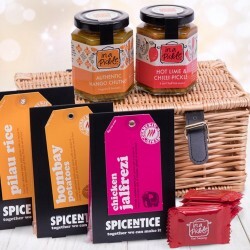 • FREE STANDARD SHIPPING ON ORDERS OVER £90 BY IN A PICKLE FOOD CO.